I used this offer about 6 weeks ago, guess what, it was declined. Might be because I used a code at the checkout to get another 5% off my purchase. Bit of a con though, lots of conditions in t&cs. 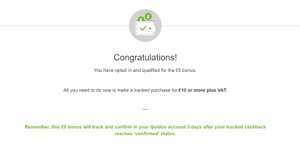 I used this offer about 6 weeks ago, guess what, it was declined. Might be …I used this offer about 6 weeks ago, guess what, it was declined. Might be because I used a code at the checkout to get another 5% off my purchase. Bit of a con though, lots of conditions in t&cs. But codes via Groupon work. Make sure your spend is adequate AFTER the discount. 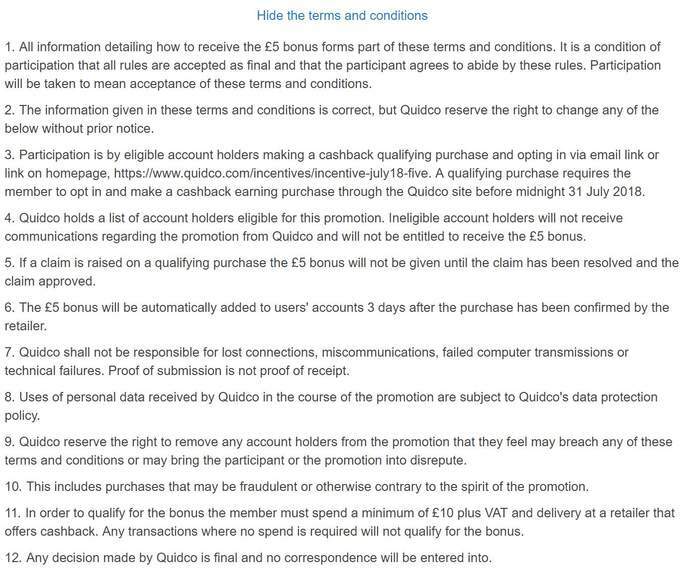 I got the email I just checked, I have not used Quidco for a loooo0ong time maybe that's one of the reasons?